The painted bunting prefers habitats of dense brush nests located in scrub communities, wooded back dunes, palmetto thickets, and edges of woodlands and maritime hammocks. On St. Catherines Island, nesting is most consistent along the brushy western edge, in the marsh-upland interface. Nests are also occasionally found in light gaps in the island’s interior. 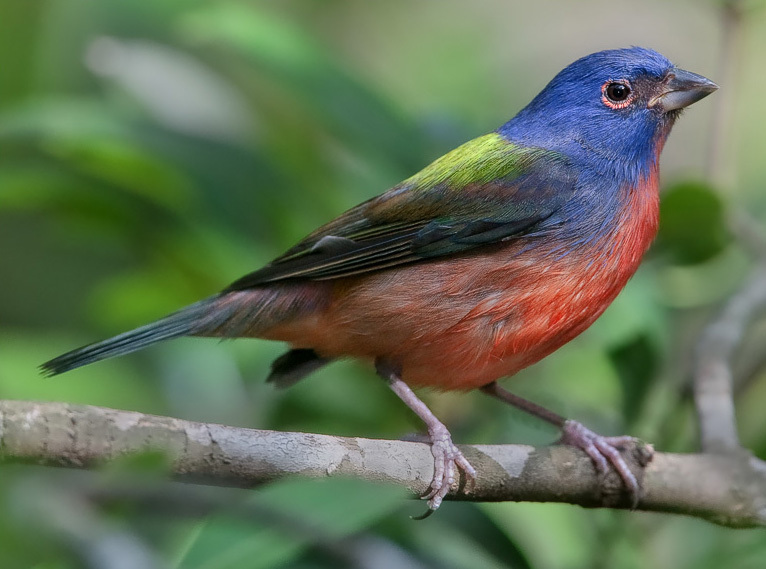 While common in some areas, painted bunting populations have been declining, especially the eastern population that breeds along the south Atlantic coast and winters in Florida and Cuba. The primary threats consist of habitat loss and degradation. The International Union for Conservation of Nature (IUCN) Red List classifies the species as “Near Threatened” and as a “Species of Concern” on the Partners in Flight Watch List.This species has been selected to represent early successional light gaps and edge habitat across the island. This habitat supports many bird and butterfly species.